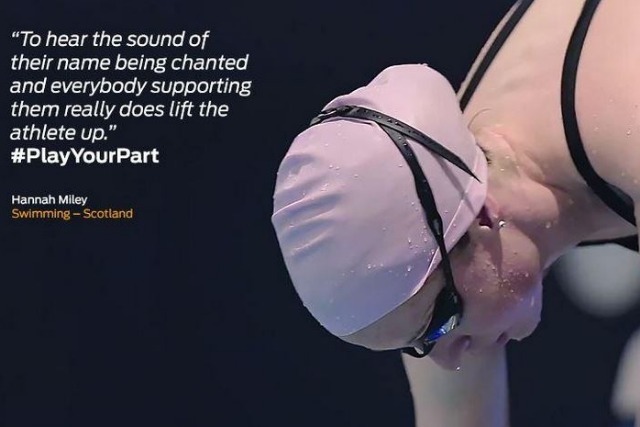 As the curtain falls on the Glasgow 2014 Commonwealth Games, Marketing spoke to Ford of Britain boss Mark Ovenden about why it was right for the car-maker to get involved with the event. In the build up to the 20th Commonwealth Games in Glasgow, the most frequently asked question was whether the event remained relevant – for sports fans, athletes and sponsors alike. For brands, there is little doubt that the Commonwealth Games do not share same lustre as the Olympics. Activation by sponsors such as Virgin Media, Ford and SSE has been experiential and social media-focused, with a notable absence of the big-budget, above-the-line campaigns which heralded London 2012. Yet, despite these waves of cynicism, the event has been a success – certainly from a UK perspective. The home nations exceeded all expectations, with England topping the medals table for the first time since 1986. In the absence of big names like Mo Farah, new stars have emerged, from quadruple gold medal-winning English gymnast Claudia Fragapane to Scottish swimmer Ross Murdoch. Even a singing-and-dancing Usain Bolt appeared to enjoy himself, despite certain alleged comments made during the Games. As the city of Glasgow bid the event farewell at a closing ceremony featuring a performance from Kylie Minogue, the organising body claimed levels of interest in the event could be proven in the numbers: the official Glasgow 2014 website attracted more than one million visits per day; there were more than one million mentions of Glasgow 2014 on social networks; and over 500,000 consumers visited the ‘Live Site’ at Glasgow Green. For sponsor Ford, which ended production of vehicles in the UK last year, the Commonwealth Games offered a useful brand positioning exercise to reaffirm the marque’s commitment to the country, as well as promote the design and innovation work still taking place on these shores. Using the hashtag #playyourpart, Ford activated its sponsorship throughout Glasgow and Scotland with a combination of outdoor, experiential, digital and social media marketing (see below). Twenty home nations athletes, including Scottish swimming gold medallist Hannah Miley and English gymnast Kristian Thomas, appeared in Ford’s tweets and Vines. The miniature Transit vans scurrying around Hampden Park during the athletics proved an added bonus. "The Commonwealth Games has worked very well for us," said Mark Ovenden (right), managing director of Ford of Britain. "In the spirit of [Ford’s global strapline] ‘Go Further’, the Commonwealth Games fitted with that ethos. "It works, clearly, as we’re the market leader in Britain – when you have a major event like this in Britain, we should be involved. "You’ve have 71 countries competing here and we sell cars in pretty much all of them. 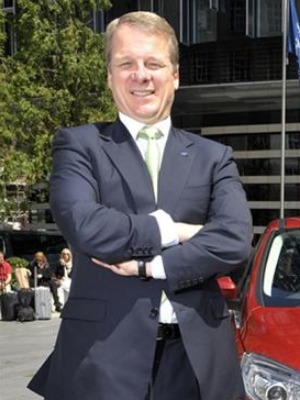 "More locally, this was a major event for Scotland, and Scotland is important to Ford. "The other thing it allowed us to do is showcase the range and breadth of our products, and technology such as our EcoBoost engine." From dealer feedback to the enthusiastic response of consumers to Ford’s experiential marketing activity in Glasgow, Ovenden – a former UK marketing director at the carmaker – told Marketing he was pleased with the results of the Glasgow 2014 sponsorship and would consider a similar investment in the future. Sponsorship is always a useful part of the marketing mix, though is it probably the hardest part to define what is good value and what is not. "Sponsorship is always a useful part of the marketing mix, though is it probably the hardest part to define what is good value and what is not. It has to be something that is consistent with the brand," he said. "Ford has a long history in sport, from the days of Henry Ford just trying to push the envelope. In that spirit, however good you may be today, you can always be a little bit better in the future. "That is what top level sport is all about, look at [former Team GB cycling guru] Sir Dave Brailsford and the importance of incremental improvements. "We will look at sponsorships, but they have to make sense and they have to be consistent with the brand – consumers are very savvy, and if you try to wrap yourselves in a sponsorship that doesn’t feel consistent with the brand then that won’t work," added Ovenden.